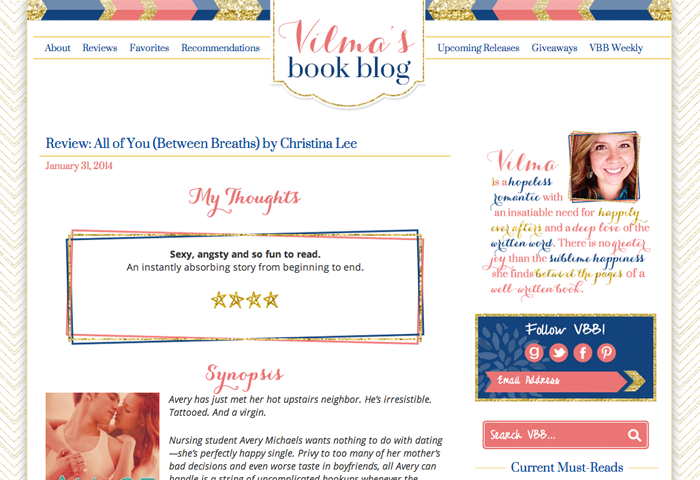 If there is one thing I love, it’s sparkle and this custom book blog design for Vilma’s Book Blog truly shines! Pink and navy are one of my favorite color combinations, and if gold counts as a color (and I think it does!) it’s the perfect accent to this duo. Vilma is truly a girl after my own heart. 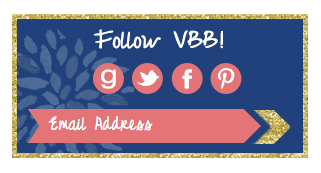 One of the custom widgets I created was a Follow VBB box, where fans can subscribe to any of Vilma’s social feeds in one convenient place on the sidebar. If you get a chance, go check out the hover effects! 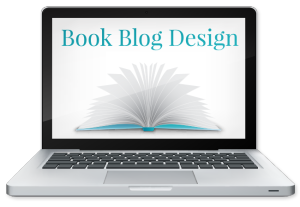 Vilma’s design is chock full of the book blog essentials: synopsis area, review rating graphics, fancy heading fonts and social sharing buttons. The custom block quote styling helps make Vilma’s most important thoughts stand out. 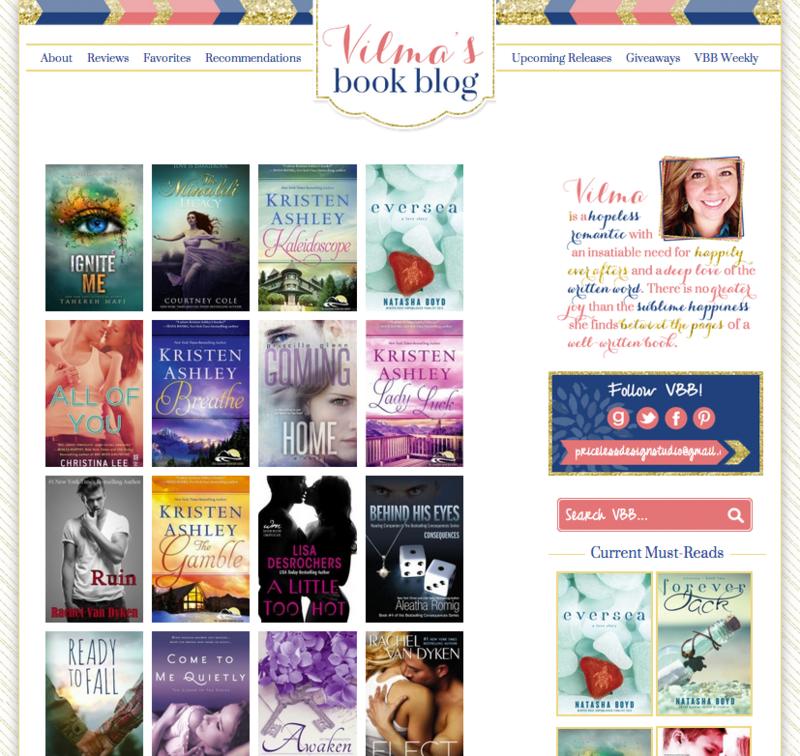 Quite possibly my favorite custom element on this blog is the Book Reviews category page. Every book Vilma reviews gets automatically updated on this page via WordPress magic. You have to go see it to truly understand the power of using a custom page template in WordPress. Thank you so much, Vilma, for putting together such great inspiration and ideas for your site design! 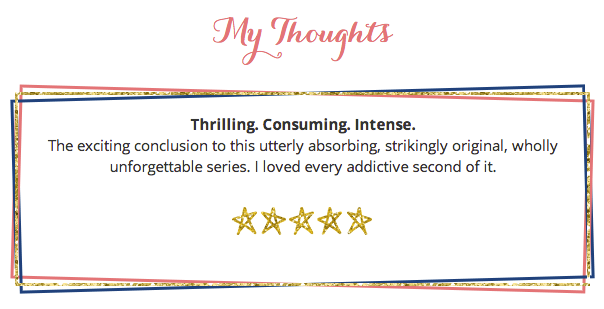 It was an absolute pleasure to work with you on this amazing book review blog.